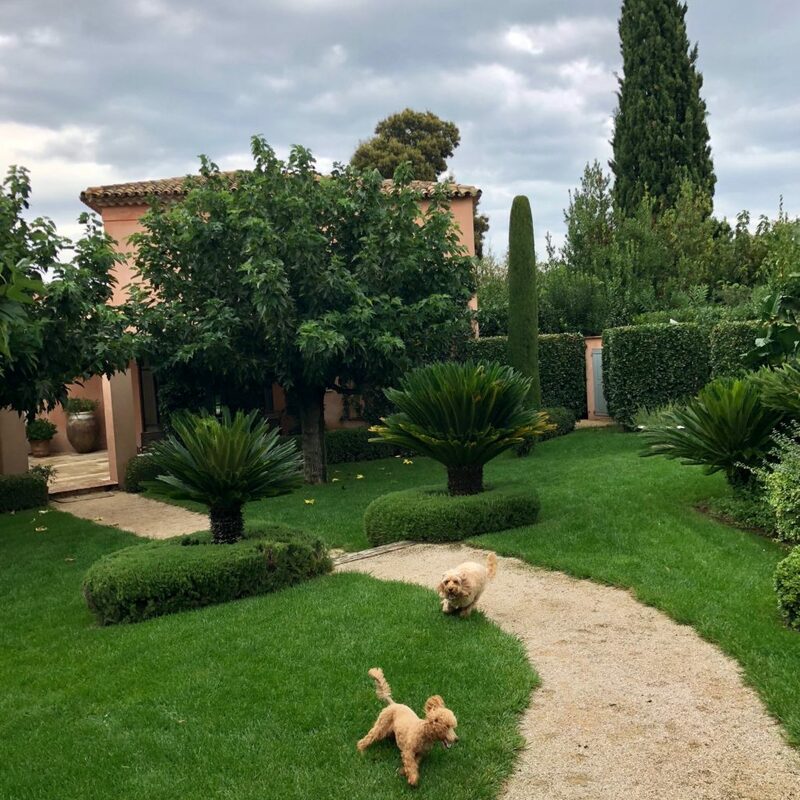 We arrived in St. Tropez late Tuesday and finally returned to Marley’s house. Now we can chill and relax for the next three weeks when we take in the sunshine and beach walks. Marley and I started running crazily in the garden! I was so happy I had a play with my teddy! 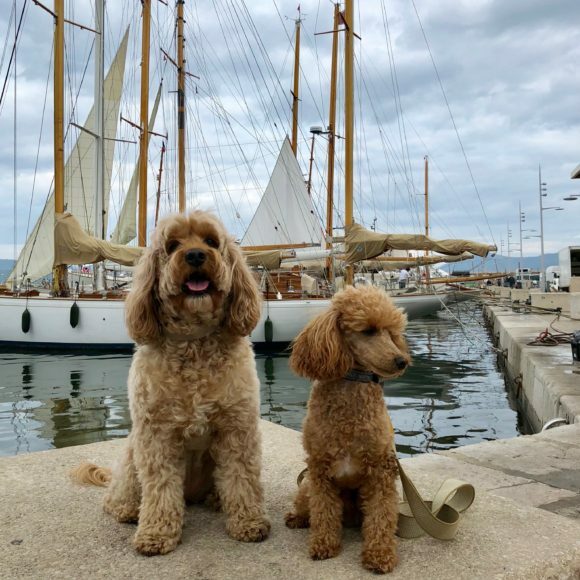 The next morning we were already on a walk into town, breakfast in town and getting into the swing of St. Tropez life. Hi Mum! I’m waving hello and goodbye! May’s comment: Uh-oh! Darcy seems to be liking her life with Marley a bit too much. She might be deluded into thinking that she has “upgraded” and decide not to come home. She will have fun but you can bet she will be thrilled when she sees you agin.